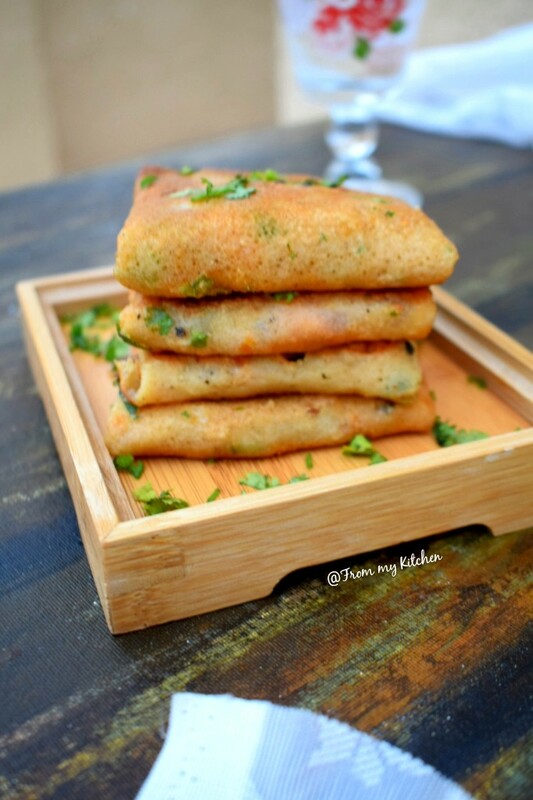 This mini paneer pockets will surely win the heart of our kids! 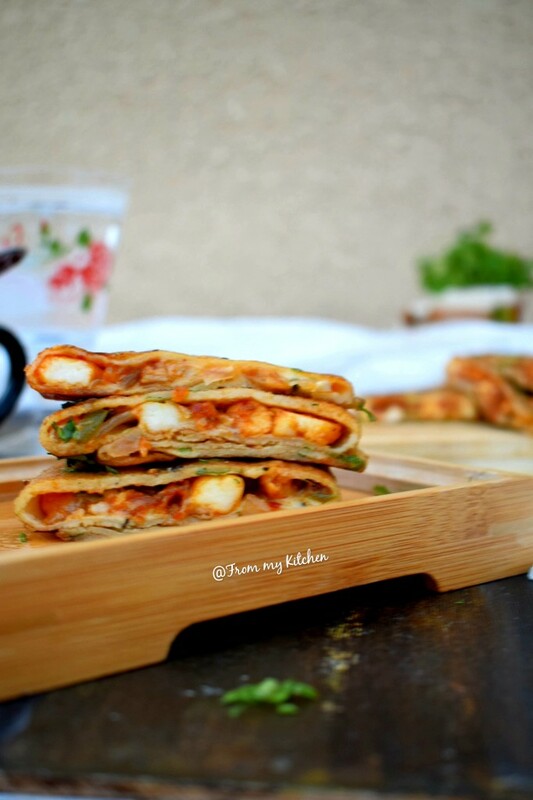 Cheesy and saucy chilly paneer enclosed in a healthy wheat crepe and then shallow fried to make it crisp. 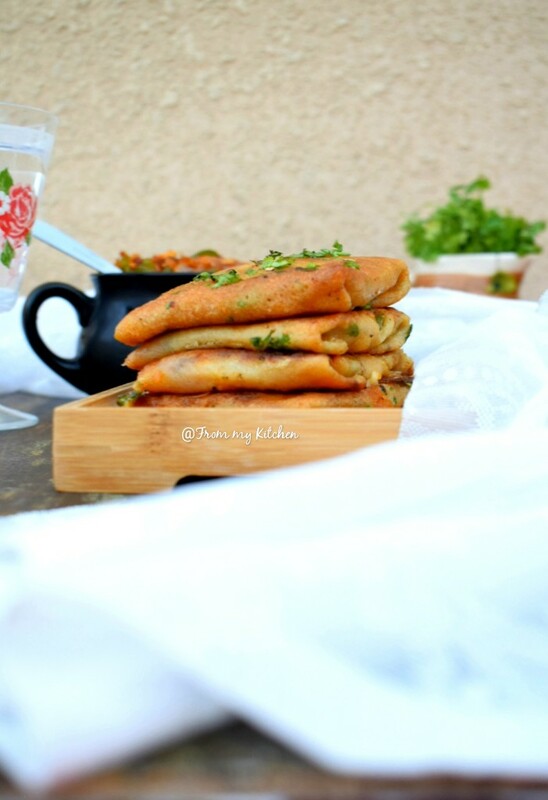 This is such a delicious finger food that can be easily made and will make your kids fight for a bite. It will be a good option for lunch box too. You can make the filling day before and you are good to go! You can make the same with chicken too. So today for Mfb challenge the theme is healthy munchies, that is healthy bite-size goodies for kids. To include veggies and healthy carbs in your kid’s diet I consider this approach as perfect, make the filling saucy and cheesy wrap it and give it to them, they will happily munch on it, This works every time here! 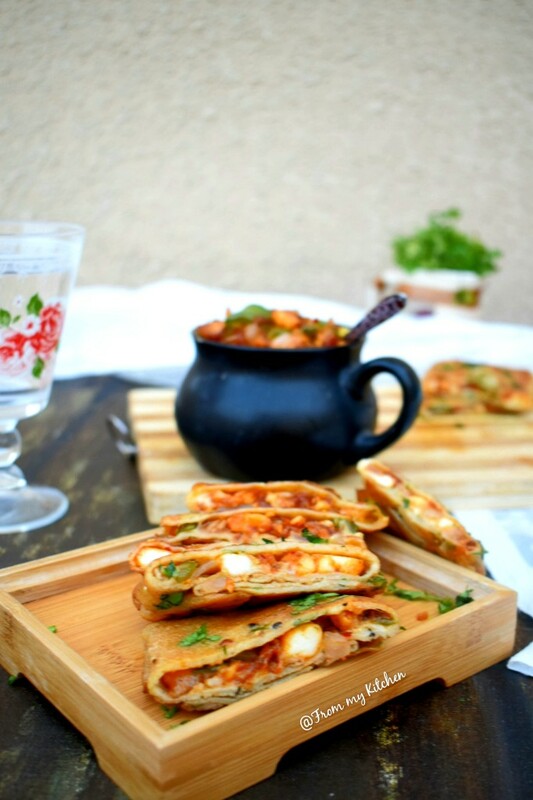 If i serve the same thing separately like chilly paneer and crepe they won’t eat much! Agree or not? So try this way! Not only kids even we adult would love to have it. It’s a filling snack! 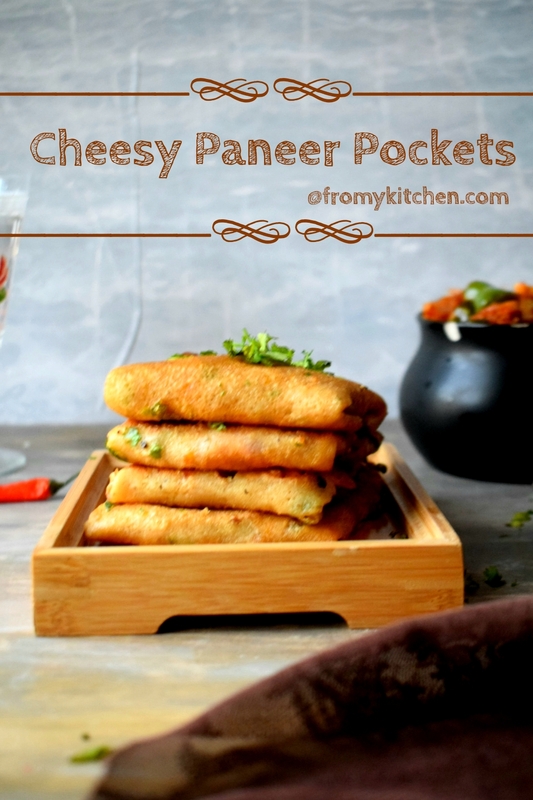 So this cheesy paneer pockets is one more addition to my lunch box ideas, also a great option for Iftar too! If you don’t want to shallow fry it just wrap it and pack, but frying makes it crisp. For Kids, we can just sear it in butter and it will be yummier. 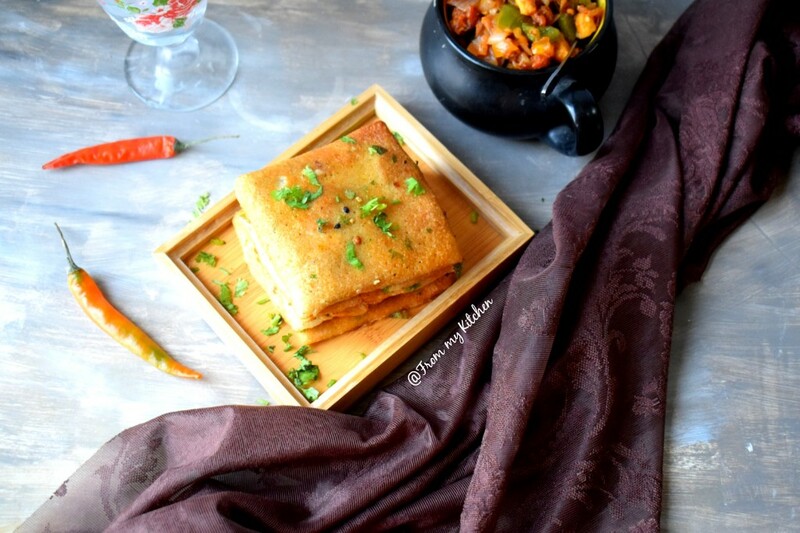 Marinate paneer with above-mentioned ingredients. Then in a pan pour some oil and shallow fry it. Transfer it to a bowl. In the same oil add crushed ginger, garlic, and green chilies and cook it until it releases its aroma. Add the small onion cubes and bell pepper along with salt and cook on high flame. Don’t overcook, it should retain a slight crunch. Now add all the sauces and mix well. Add vinegar and lastly, fried paneer, mix well to incorporate and switch off the flame. The filling is ready. Prepare the crepe and keep it aside. It should be thin. Cut a cheese slice to 4 squares. Now assemble the paneer pockets. Put a spoon full of filling on the center of the crepe, then a piece of cheese and fold it from four sides and make it like a square pocket. Do the same with rest. Crack in an egg white in a bowl, add salt and pepper along with cornflour and mix well. 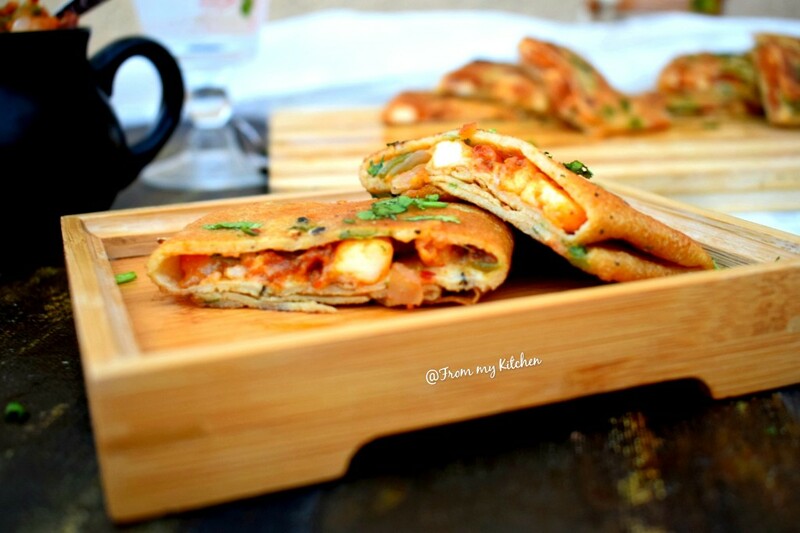 Heat a pan with few tablespoons of oil and then dip the paneer pockets in the egg white and shallow fry it. You can also skip this step and just shallow fry it in butter.